STOX Energy Blog - Ski holiday tips. Items that you definitely should pack! Ski holiday tips. Items that you definitely should pack! When you travel to Austria you'll have to take more baggage than just a hand luggage suitcase. Because you're about to hit the slopes! But what exactly do you take with you? Are you traveling to your favorite ski resort by car, then you can probably take a whole bunch of baggage with you. Are you planning to travel by plane, then you most likely won't have that luxury and you can only bring must-haves with you. Let us help you to make sure you won't forget any important items. We can make you an enormous list including stuff like your passport, wallet, etc., but we assume that you got these items ready to take with you. Let's cut to the chase and go straight to the contents of your suitcase. Which items do you need to bring to make sure the only thing you can do, is enjoy. Print it, and cross out the items once they're in your suitcase. With these tips, you'll be well prepared for your ski holiday! Now that you're all dressed up you're ready to hit the slopes! However, STOX wouldn't be STOX if we didn't get back to you on the ski socks. You should wear STOX Skiing Socks during your ski holiday. Why? Because these are not your average ski socks. You know what I mean with that, they look nice, but they sag and are not warm at all. 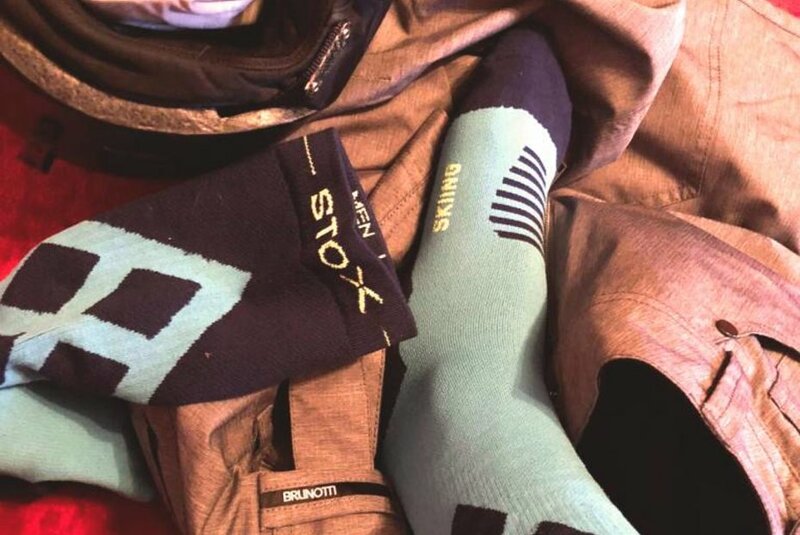 No, the STOX Skiing Socks don't only look nice, they are also very functional. Thanks to the medically justified compression technique, the legs are tightly pressed. The compression stimulates the blood circulation. This prevents cramps, injuries and overburdened muscles. In addition, the socks stabilize your ankles and shins for perfect support. 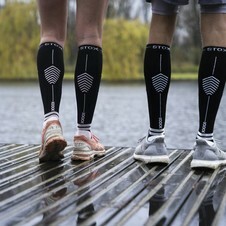 ​STOX Skiing Socks are made from highly innovative materials. 'Moisture-wicking fabrics with temperature-regulating properties', as we like to call it with fancy words. This basically means that these materials keep your feet warm and dry. Beside that, the extra flat seams prevent friction and therefore prevent discomforts like blisters. 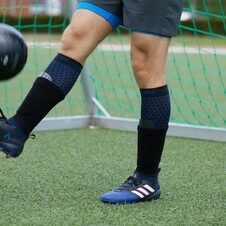 The compression technique speeds up the removal of waste materials, which promotes recovery and reduces the risk of injuries. So, if you want to enjoy your ski holiday and don't feel like to plan a day of rest because of tired, painful legs or extreme muscle aches, order STOX Skiing Socks before you're off to your holiday! During the journey toward your ski destination you can wear the STOX Travel Socks. 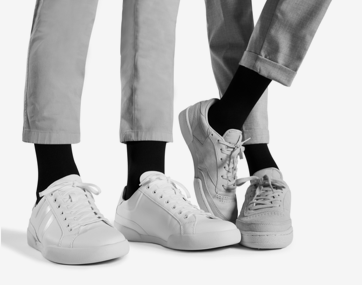 If you sit in the car, plane or on the bus for a longer period of time, your ankles may swell up, causing you to experience tired or even painful legs. STOX Travel Socks prevent this, because they improve your blood circulation. In addition, the merino wool keeps your feet warm. And now, on to the mountains! It's time for a wonderful week with lots of snow! > STOX Energy Blog	> Ski holiday tips. Items that you definitely should pack!